"Print rigor and scientific objectivity to the unified management of the Camino de Santiago"; under this goal this February 16 has been established in the city of Logroño the new Scientific Committee of the Association of Municipalities of the Camino de Santiago. The city of La Rioja, elected at the last general assembly of the AMCS in November, will be responsible for hosting the permanent headquarters of this new organization, key to helping the association of municipalities in their management "of a heritage asset as broad, complex and valuable "as is the French Way. The Scientific Committee will be constituted by a multidisciplinary group of experts (mostly related to the Way of St. James) from areas closely related to the Jacobean study, such as history, geography, literature, theology or archival. His work will be to take charge of advising the association of Jacobean municipalities in their work of heritage management of the French Way, ensuring its preservation, as as assured by a voice authorized as the coordinator of the Scientific Committee, Javier García Turza, "El Camino You can die of success. " Among the tasks of the committee is the possibility of proposing research projects, scientific dissemination, educational programming, preparation of content for seminars or postgraduate courses. 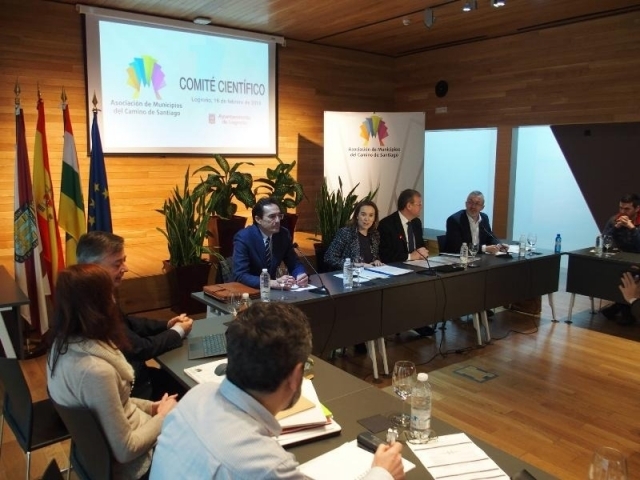 The Lagares Space of Logroño has hosted the act of commissioning of the committee, being chaired by the mayor of the city of La Rioja, Cuca Gamarra, and the mayor of Leon, Antonio Silván, who in turn are vice president and president of the Association of Municipalities of the Camino de Santiago. Accompanying them in the act have been present the rest of the mayors of the municipalities of the French Way that form the board of directors of the AMCS: Estella, Portomarín, Astorga, Carrión de los Condes, Castrojeriz, Santo Domingo de la Calzada, Puente La Reina and Canfranc .